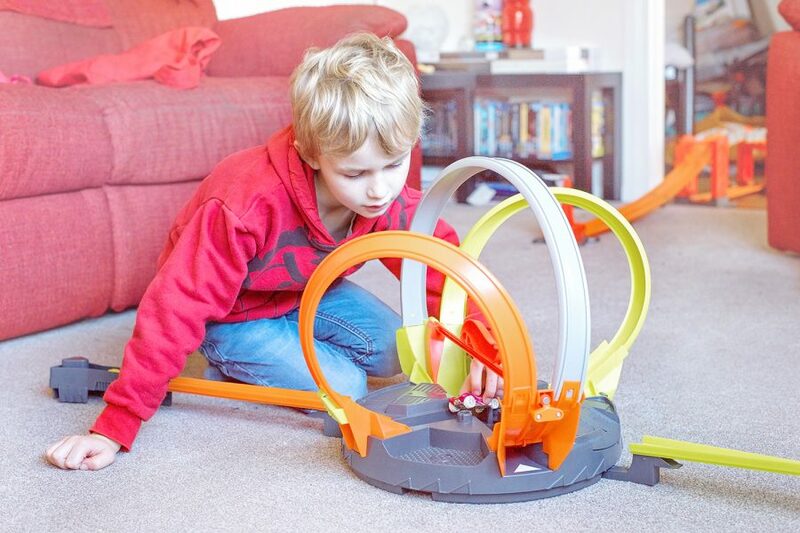 We are back again with the second of our super Hot Wheels track set reviews – this time we’ve been playing with the Hot Wheels Roto Revolution, testing our newly acquired Hot Wheeling skills in a head-to-head face-off with each other! 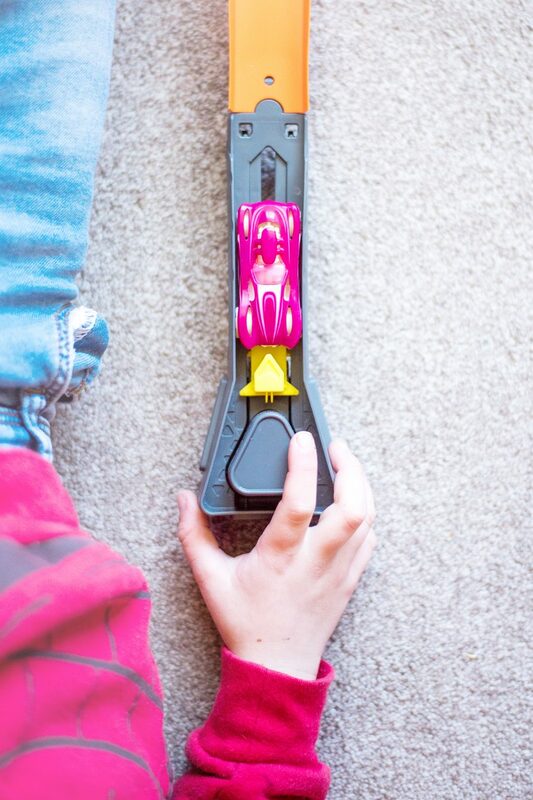 The idea is that each of the Hot Wheels drivers [the challengers, in this case, our three boys and their cousin Vi] should strategically launch their cars into the rotating Revolution track set on the launching strips, and watch them loop over and over the track, which rotates and spins on its base as the cars switch track to track. However, in order to do this, they have to be launched at the track set at just the right time, or they won’t make it onto the track and it will pass them by as their Hot Wheel crunches at the side of the track! When the cars are in the loop, it’s a matter of time before they crash, fall from the track and leave one Hot Wheeler standing – the champion! 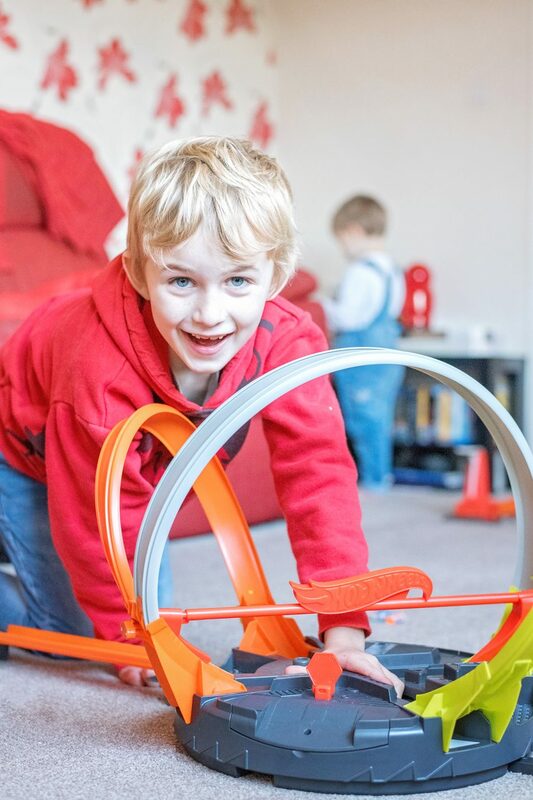 The set includes 2 launchers and 2 Hot Wheels cars – and our competitive four managed to take it in turns very nicely to shoot their cars into the loops without arguing, and fall about laughing when one of their Hot Wheels shot off or crashed in some spectacular fashion. 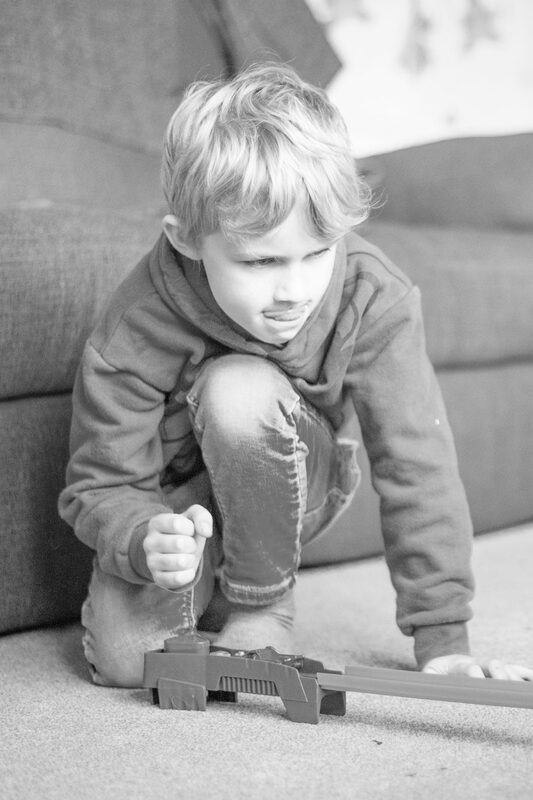 Honestly, I couldn’t see how it was going to keep them occupied for very long at all but when I came back from visiting all day with my dad at the Oncology hospital, they were still in competitive mode and desperate to show me and to create tournaments galore. It seems that when skill and competition are involved, there is no end to the battles that can be fought. …that this set is compatible with the other sets – the tracks are easily connected. 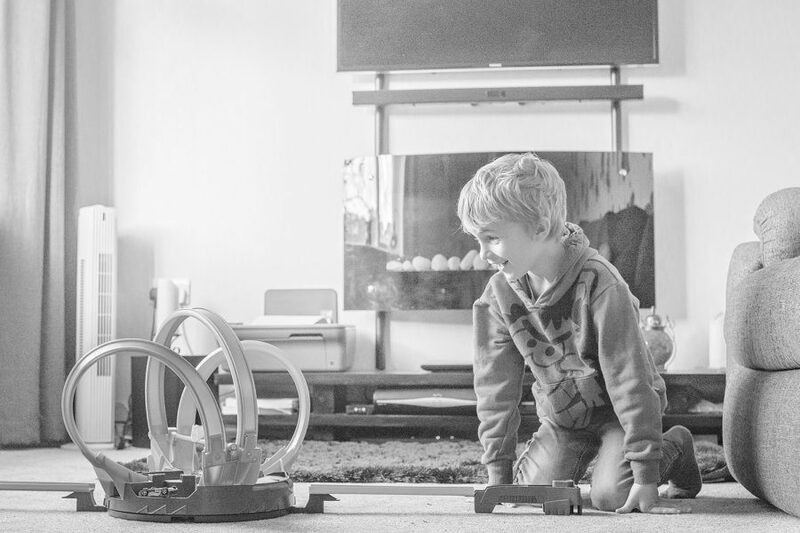 …that there is skill involved – they had to learn timing and hand-eye coordination to get their cars on the track. …the rhythmic looping noise as the cars switch tracks. It’s not loud enough to be obnoxious and they could easily play in the same room as us with the TV on. …that this is unusual. We were holding our breaths to see which car would come off first or crash someone else’s off before we launched the next car to the track. …that it was easily assembled – and easy to take apart to transport. Jens  was able to disconnect and reconnect all of the parts by himself. …that there are two cars – immediate competition is possible. …that the batteries were included! It takes unusual, D batteries [the large cell ones] which hardly anyone has in their house.